Let’s travel back in time to when I was a teenager blindly following advice to be “healthy”. I grew up as a chubby kid eating tons of cereal. I practically lived on the stuff. When I decided I wanted to be healthy and skinny (I went through many ups and downs growing up), I turned to granola. Daily, giant bowls of granola. You know, the healthy stuff. If you sit down to eat a bowl of cereal, you’re likely eating at least 2 cups worth. 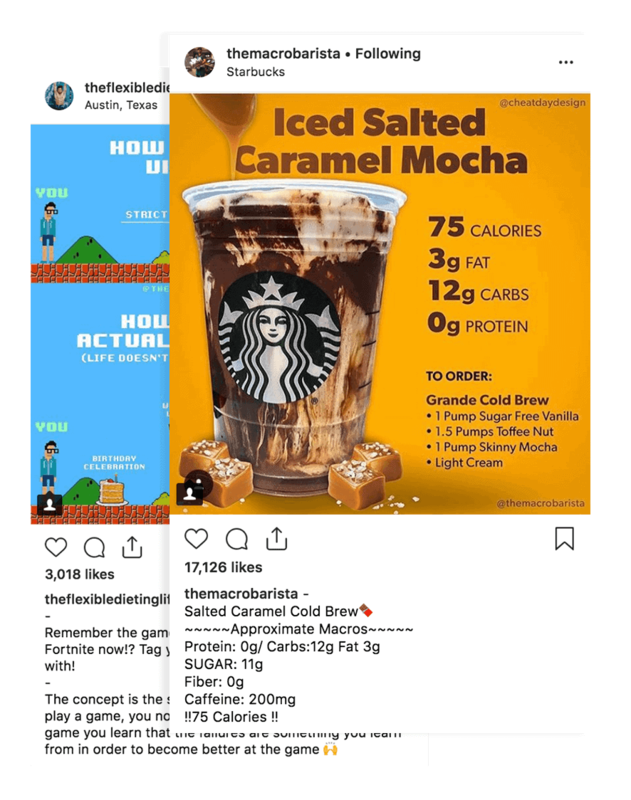 But, let’s compare a single cup here. A bit of a difference in the macros, huh? The Fruit Loops that you’re told are loaded with sugar and complete junk are actually not bad at all from a macronutrient standpoint. Sure, if you’re looking at things from a whole food perspective, granola is the way to go. 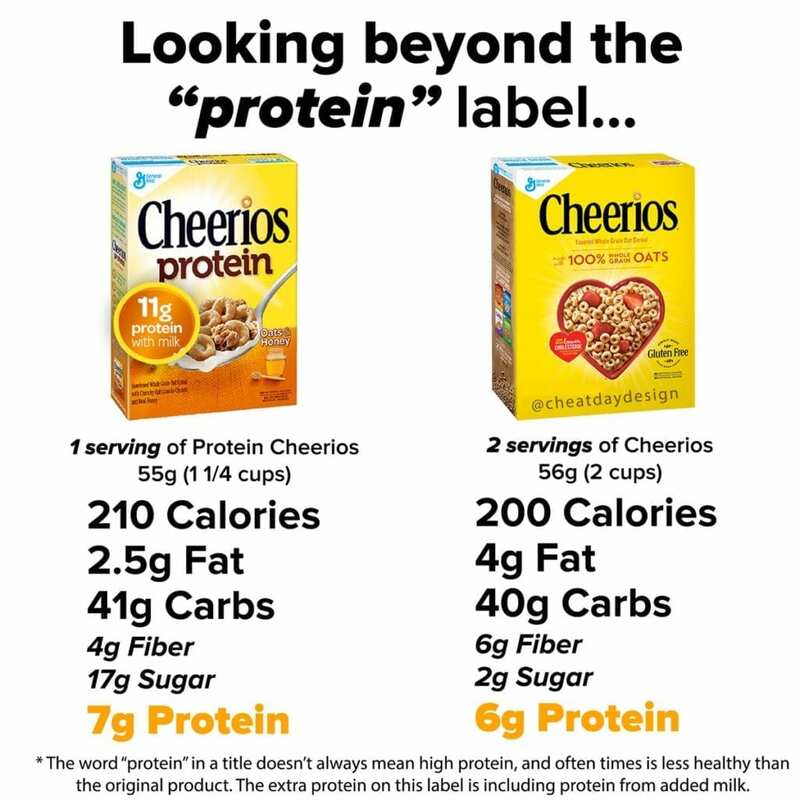 Whole grain oats, raisins, almonds, honey… vs the Fruit Loops that use corn flour, artificial colors, etc. 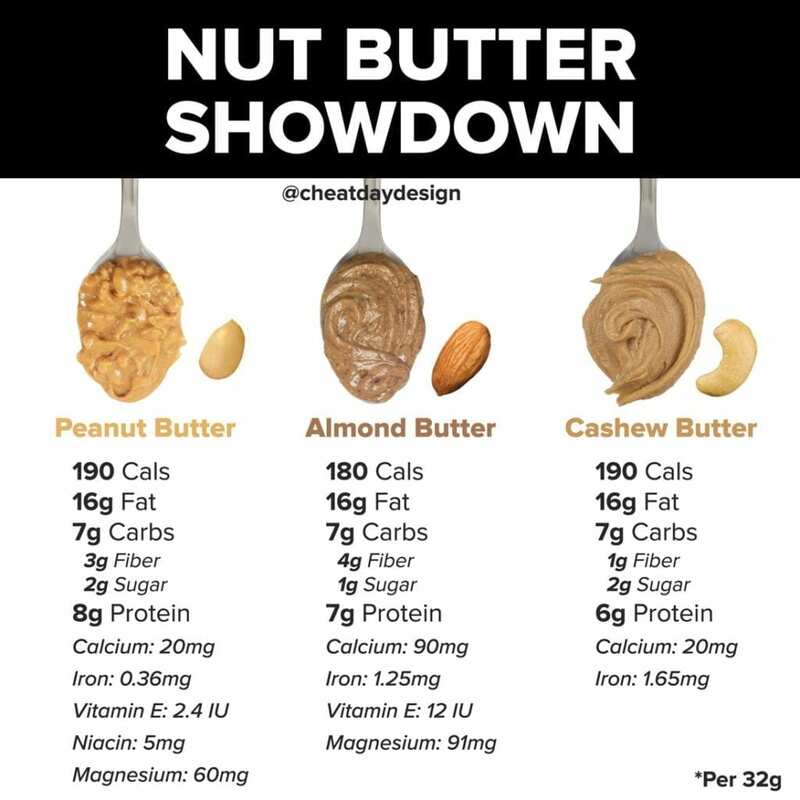 There’s no debating those differences, but there’s also no debating the drastic difference in calories, either. If you’re anything like me when I started out on my journey, you’d turn to granola automatically in an attempt to be healthy. I fully support eating whole foods, but I am absolutely not against eating processed foods as well if you truly enjoy them. Life is about moderation. 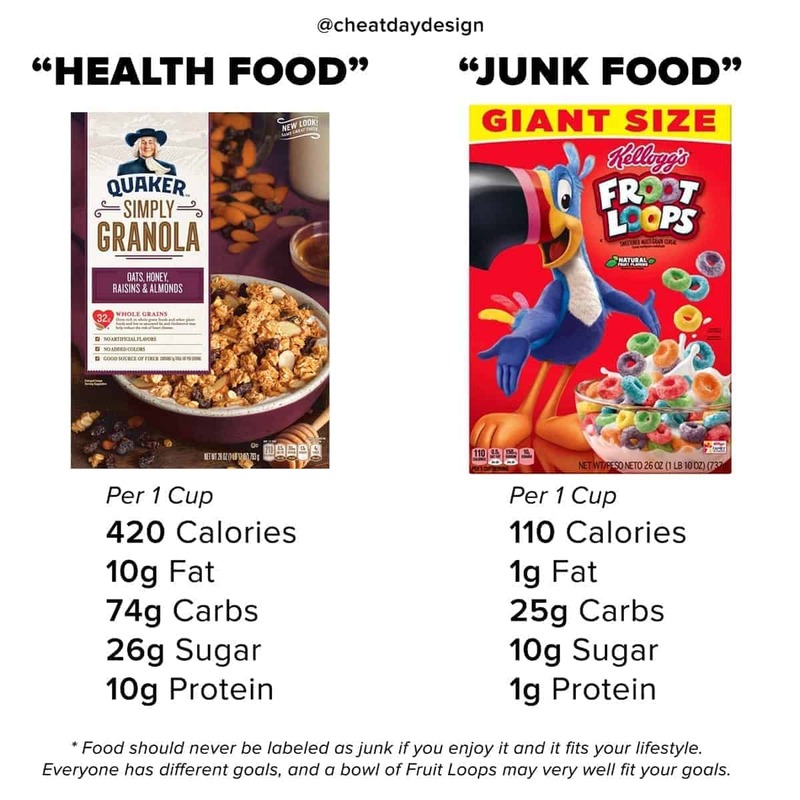 If you’re watching your calories and in the mood for cereal, think about this next time you find yourself at the store. I don’t consider Fruit Loops junk. 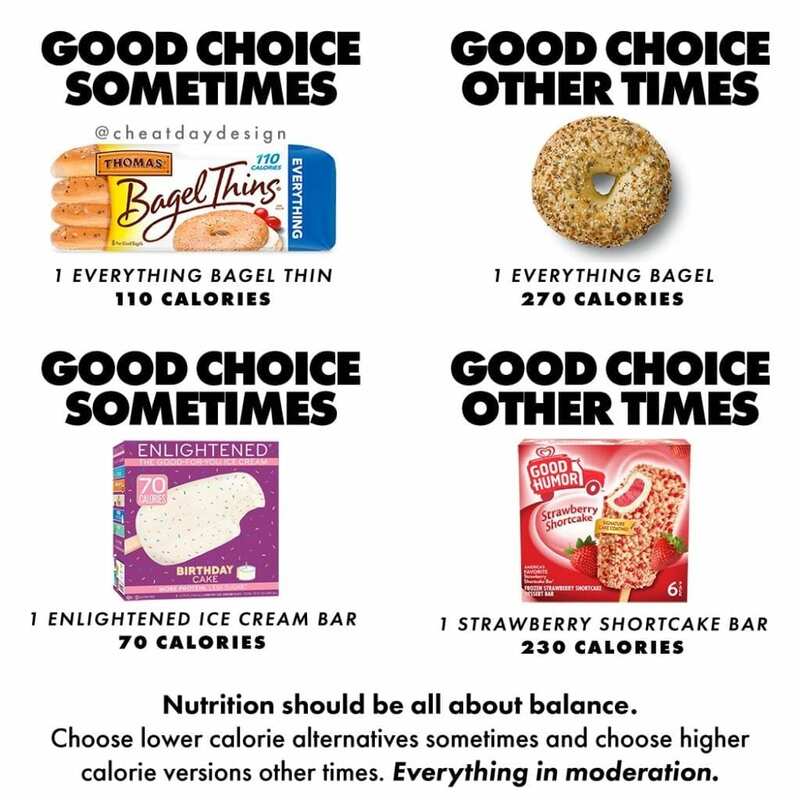 I also don’t consider granola a healthy food. 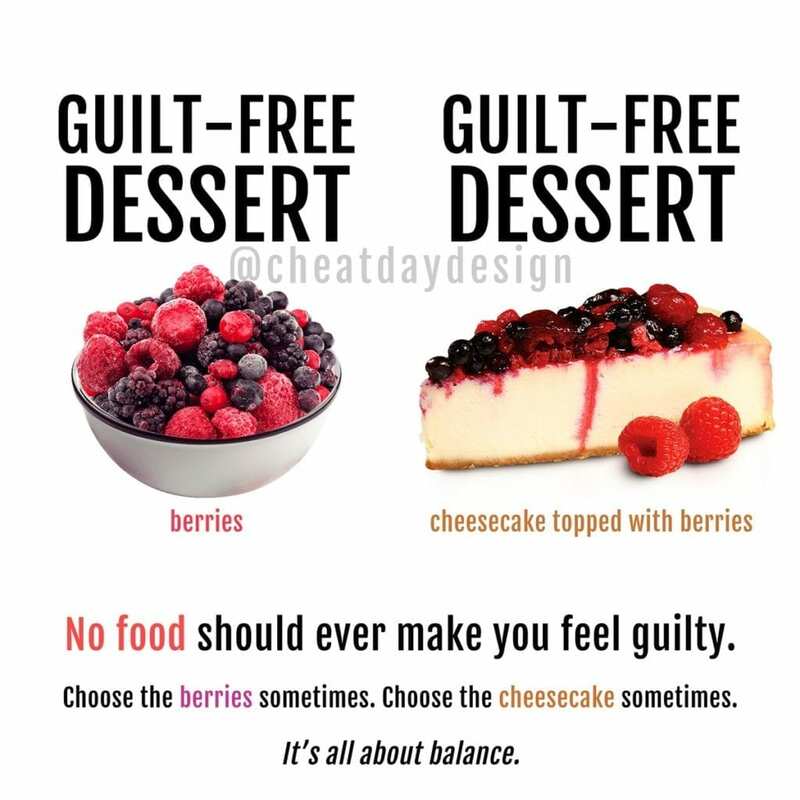 It depends on how you choose to work them into your diet and what your goals are. No food is inherently good or bad.